Today is the birthday of Oliver Hughes (May 20, 1959-July 30, 2016). 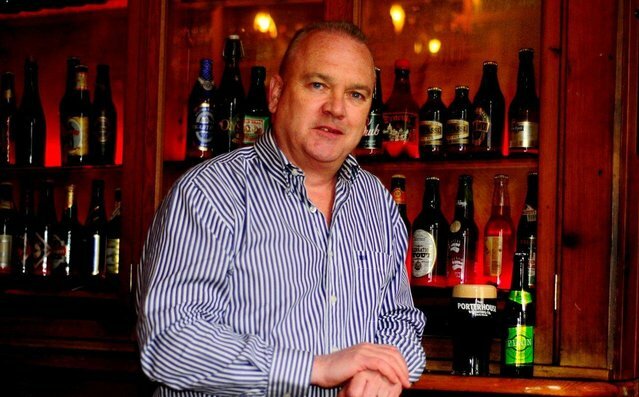 Hughes, along with partner Liam LaHart, co-founded Ireland’s first brewpub, the Porterhouse Brewing Company in 1996. It’s now grown in size, part of the Porterhouse Group. Unfortunately, He passed away in the Fall of 2016 at age 57, and the brewery he started continues to grow and expand, with locations in the UK and America. 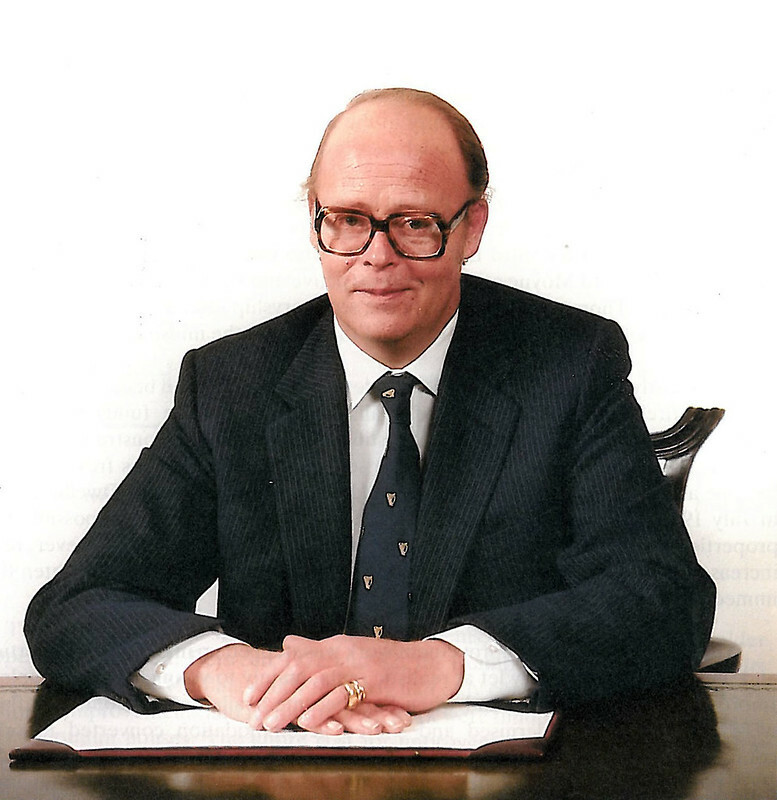 Oliver was the co-founder and director of the Porterhouse Group. 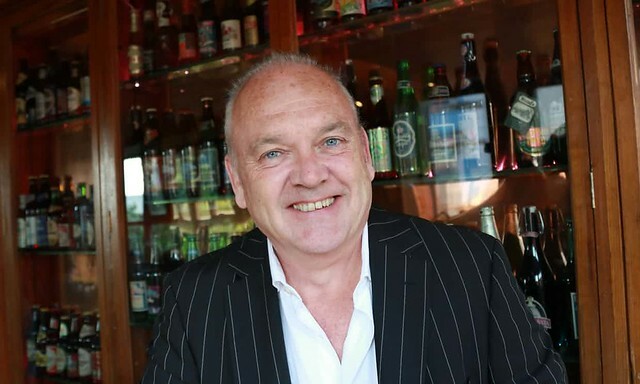 An entrepreneur who pushed the boundaries wherever he could, he was not content with helping to start the craft beer revolution in Ireland; he went on to create Ireland’s first purpose-built distillery in over 200 years. Oliver’s mind never stopped turning, whether it was thinking of how to improve his own ventures or how to help others. 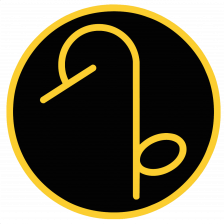 His ideas are ingrained in the mind of the Porterhouse and his concepts for growth in the Porterhouse Group have been put in place, mainly due to his boundless energy and dreaming. Oliver and Liam LaHart’s original “mad” idea was Harty’s brewery in Blessington, Co Wicklow, in the 1980s. 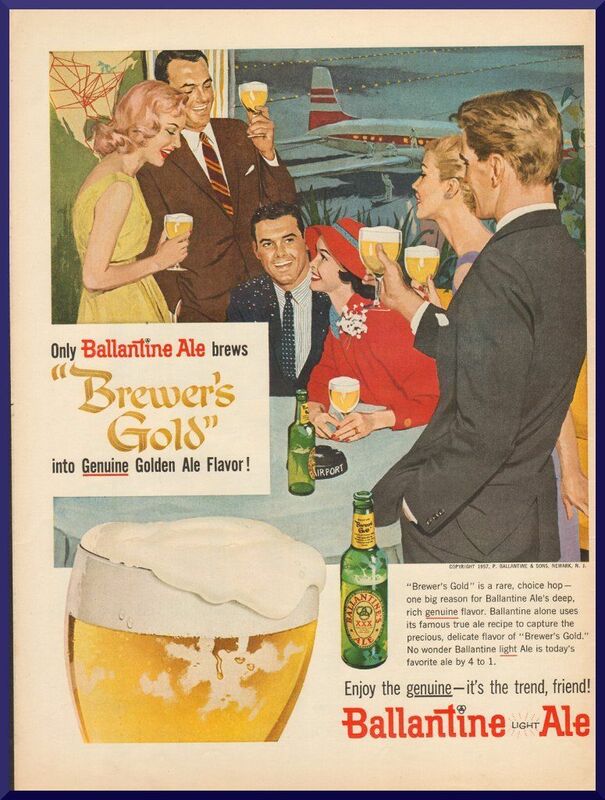 This attempt at a micro-brewery in Ireland was followed in 1989 by the setting up of The Porterhouse in Bray which pushed craft beer onto the Bray locality. Following that in 1996, we saw the Porterhouse Temple Bar begin trading. This was only the beginning of the adventure for cousins Hughes and LaHart. 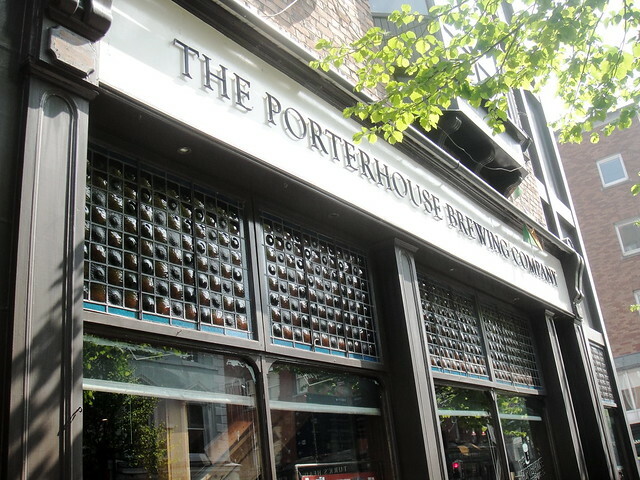 They soon opened up Porterhouse Covent Garden in London, the Porterhouse North (recently converted to The Whitworth), the Porterhouse Central and the Porterhouse at Fraunces’ Tavern in New York while the group also expanded to The Port House chain of tapas restaurants. Oliver’s most recent treasure was the Dingle Whiskey Distillery. His idea was once again ahead of the curve. Oliver only saw one cask ever released, Cask No 2, on 19th December 2016. He was extremely proud of the Dingle Distillery and he knew the future was bright. Oliver’s ideas, influence and energy can be seen in everything the Porterhouse group has done and will do going forward. 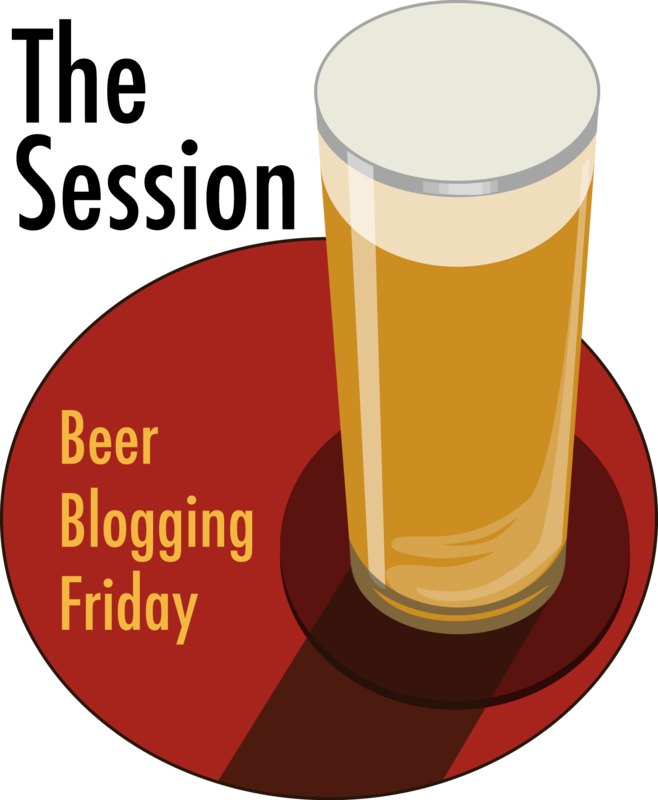 Irrepressible and unstoppable, he said his rule of thumb for running successful pubs and breweries was “to watch what the big players do… and avoid it”. Today is the birthday of Eduard Buchner (May 20, 1860-August 13, 1917). Buchner was a German chemist and zymologist, and was awarded with Nobel Prize in Chemistry in 1907 for his work on fermentation. Born into an educationally distinguished family, Buchner lost his father when he was barely eleven years old. His elder brother, Hans Buchner, helped him to get good education. However, financial crisis forced Eduard to give up his studies for a temporary phase and he spent this period working in preserving and canning factory. Later, he resumed his education under well-known scientists and very soon received his doctorate degree. 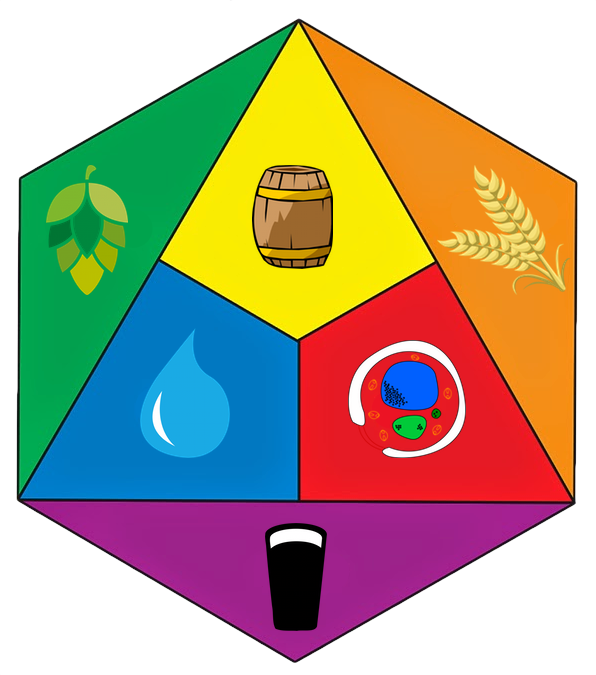 He then began working on chemical fermentation. However, his experience at the canning factory did not really go waste. Many years later while working with his brother at the Hygiene Institute at Munich he remembered how juices were preserved by adding sugar to it and so to preserve the protein extract from the yeast cells, he added a concentrated doze of sucrose to it. What followed is history. 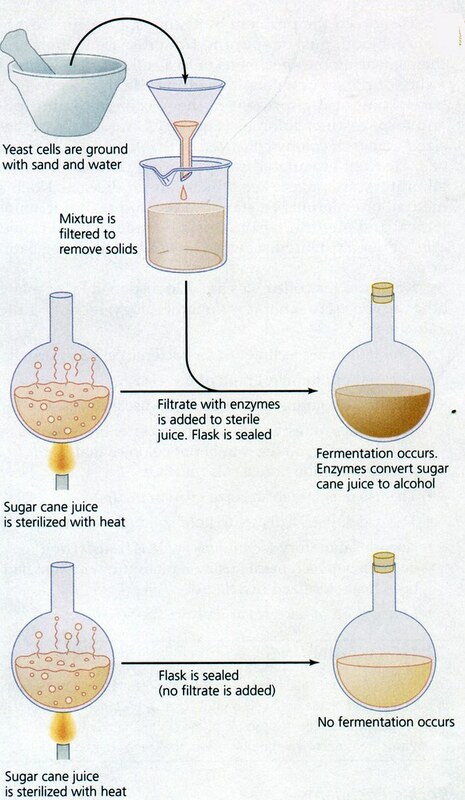 Sugar in the presence of enzymes in the yeast broke into carbon dioxide and alcohol. Later he identified the enzyme as zymase. This chance discovery not only brought him Nobel Prize in Chemistry, but also brought about a revolution in the field of biochemistry. 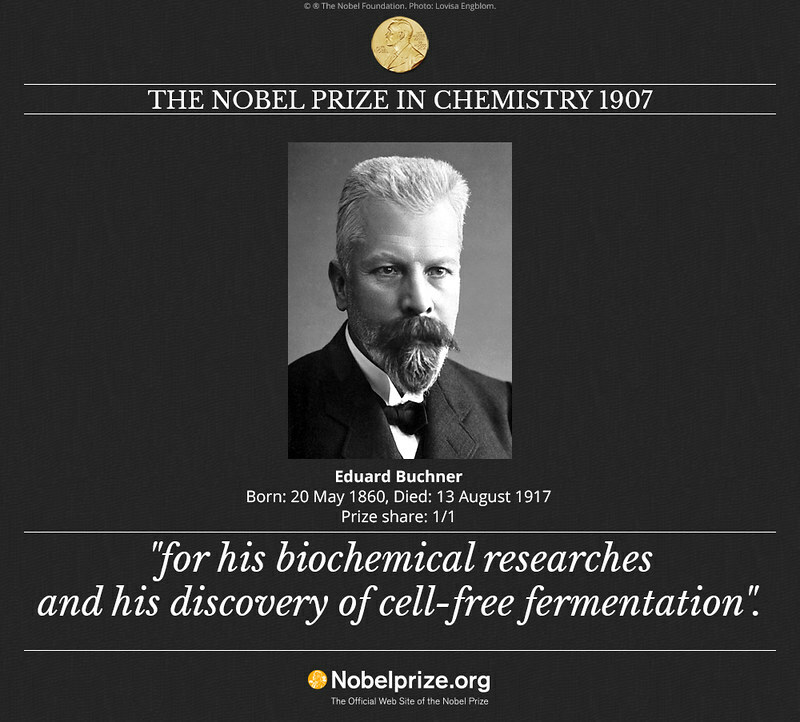 Eduard Buchner is best remembered for his discovery of zymase, an enzyme mixture that promotes cell free fermentation. However, it was a chance discovery. He was then working in his brother’s laboratory in Munich trying to produce yeast cell free extracts, which the latter wanted to use in an application for immunology. 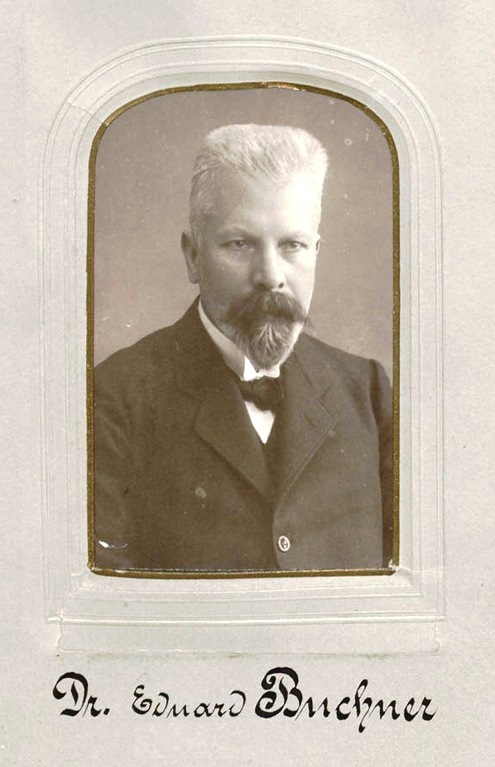 To preserve the protein in the yeast cells, Eduard Buchner added concentrated sucrose to it. Bubbles began to form soon enough. He realized that presence of enzymes in the yeast has broken down sugar into alcohol and carbon dioxide. Later, he identified this enzyme as zymase and showed that it can be extracted from yeast cells. This single discovery laid the foundation of modern biochemistry. In his studies, Buchner gathered liquid from crushed yeast cells. Then he demonstrated that components of the liquid, which he referred to as “zymases,” could independently produce alcohol in the presence of sugar. “Careful investigations have shown that the formation of carbon dioxide is accompanied by that of alcohol, and indeed in just the same proportions as in fermentation with live yeast,” Buchner noted in his Nobel speech. Eduard Buchner was born in Munich on May 20, 1860, the son of Dr. Ernst Buchner, Professor Extraordinary of Forensic Medicine and physician at the University, and Friederike née Martin. 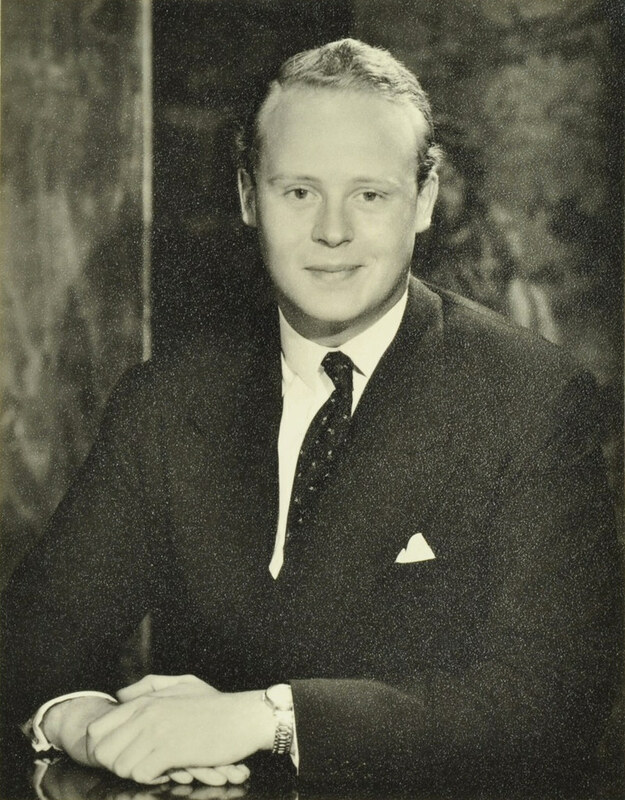 He was originally destined for a commercial career but, after the early death of his father in 1872, his older brother Hans, ten years his senior, made it possible for him to take a more general education. He matriculated at the Grammar School in his birth-place and after a short period of study at the Munich Polytechnic in the chemical laboratory of E. Erlenmeyer senior, he started work in a preserve and canning factory, with which he later moved to Mombach on Mainz. The problems of chemistry had greatly attracted him at the Polytechnic and in 1884 he turned afresh to new studies in pure science, mainly in chemistry with Adolf von Baeyer and in botany with Professor C. von Naegeli at the Botanic Institute, Munich. It was at the latter, where he studied under the special supervision of his brother Hans (who later became well-known as a bacteriologist), that his first publication, Der Einfluss des Sauerstoffs auf Gärungen (The influence of oxygen on fermentations) saw the light in 1885. In the course of his research in organic chemistry he received special assistance and stimulation from T. Curtius and H. von Pechmann, who were assistants in the laboratory in those days. The Lamont Scholarship awarded by the Philosophical Faculty for three years made it possible for him to continue his studies. After one term in Erlangen in the laboratory of Otto Fischer, where meanwhile Curtius had been appointed director of the analytical department, he took his doctor’s degree in the University of Munich in 1888. The following year saw his appointment as Assistant Lecturer in the organic laboratory of A. von Baeyer, and in 1891 Lecturer at the University. By means of a special monetary grant from von Baeyer, it was possible for Buchner to establish a small laboratory for the chemistry of fermentation and to give lectures and perform experiments on chemical fermentations. 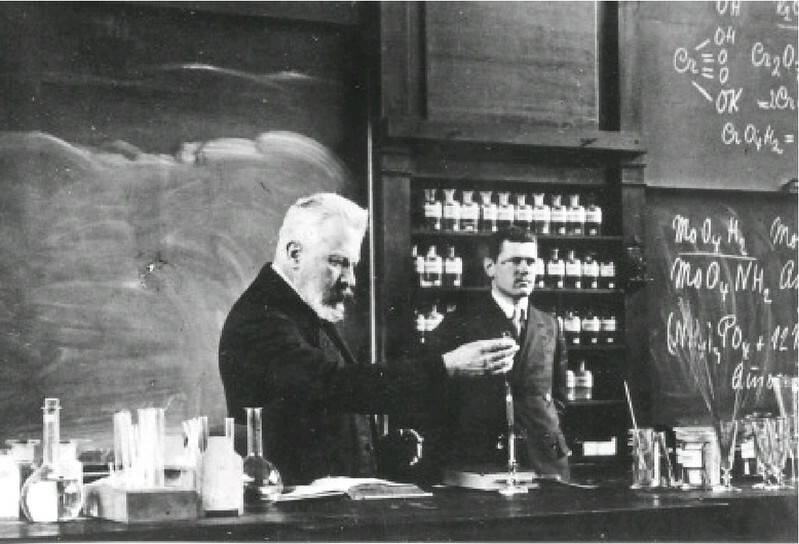 In 1893 the first experiments were made on the rupture of yeast cells; but because the Board of the Laboratory was of the opinion that “nothing will be achieved by this” – the grinding of the yeast cells had already been described during the past 40 years, which latter statement was confirmed by accurate study of the literature – the studies on the contents of yeast cells were set aside for three years. In the autumn of 1893 Buchner took over the supervision of the analytical department in T. Curtius’ laboratory in the University of Kiel and established himself there, being granted the title of Professor in 1895. In 1896 he was called as Professor Extraordinary for Analytical and Pharmaceutical Chemistry in the chemical laboratory of H. von Pechmann at the University of Tübingen. During the autumn vacation in the same year his researches into the contents of the yeast cell were successfully recommenced in the Hygienic Institute in Munich, where his brother was on the Board of Directors. He was now able to work on a larger scale as the necessary facilities and funds were available. On January 9, 1897, it was possible to send his first paper, Über alkoholische Gärung ohne Hefezellen (On alcoholic fermentation without yeast cells), to the editors of the Berichte der Deutschen Chemischen Gesellschaft. In October, 1898, he was appointed to the Chair of General Chemistry in the Agricultural College in Berlin and he also held lectureships on agricultural chemistry and agricultural chemical experiments as well as on the fermentation questions of the sugar industry. 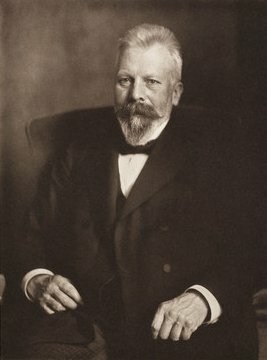 In order to obtain adequate assistance for scientific research, and to be able to fully train his assistants himself, he became habilitated at the University of Berlin in 1900. In 1909 he was transferred to the University of Breslau and from there, in 1911, to Würzburg. The results of Buchner’s discoveries on the alcoholic fermentation of sugar were set forth in the book Die Zymasegärung (Zymosis), 1903, in collaboration with his brother Professor Hans Buchner and Martin Hahn. He was awarded the Nobel Prize in 1907 for his biochemical investigations and his discovery of non-cellular fermentation. Buchner married Lotte Stahl in 1900. When serving as a major in a field hospital at Folkschani in Roumania, he was wounded on August 3, 1917. Of these wounds received in action at the front, he died on the 13th of the same month. 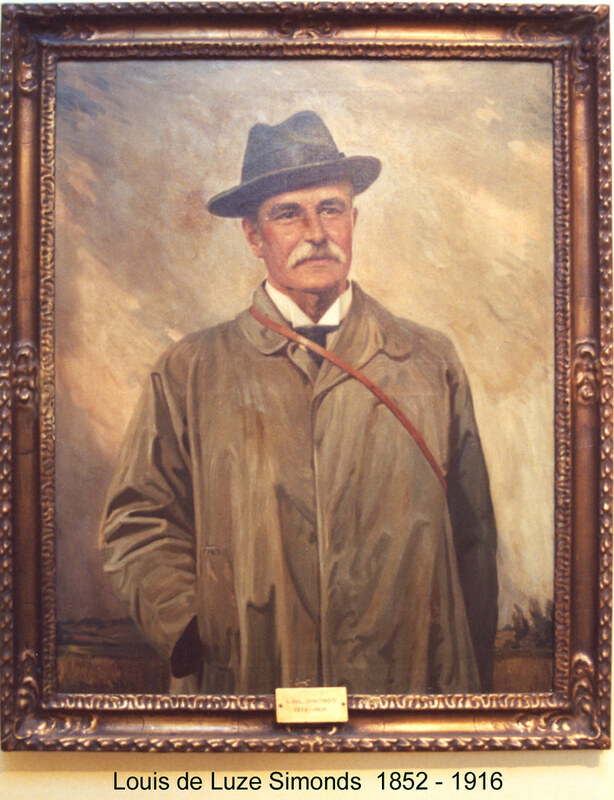 Today is the birthday of Louis de Luze Simonds (May 20, 1852-1916). 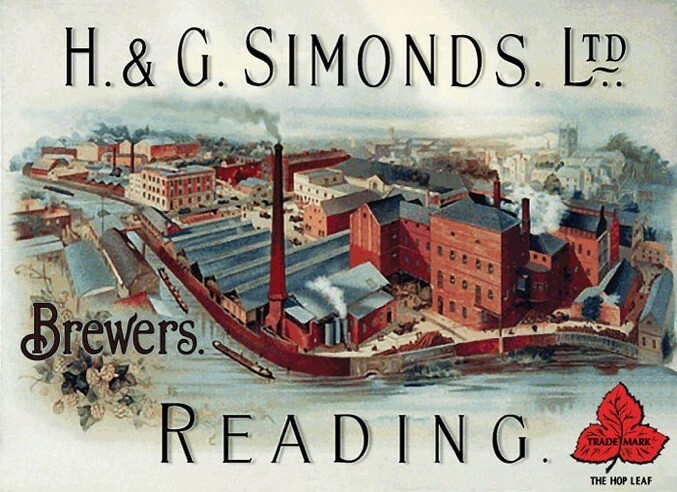 Though he was born in New York, at 19 his father, Frederick William Simonds, and his uncle, Henry Adolphus Simonds (who was a partner in the family brewery H & G Simonds) decided he would be groomed to take over the UK brewery since Uncle Louis had no heirs. 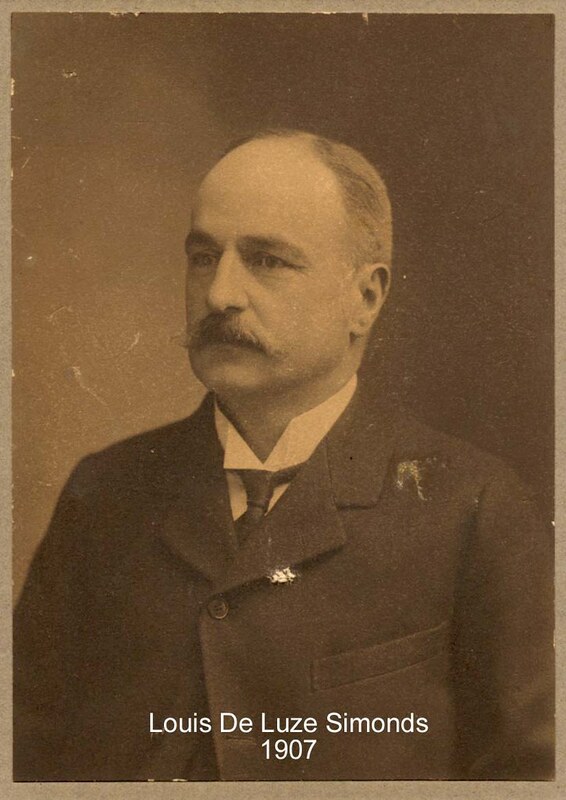 He moved to England and began working for the brewery in 1872, and later became chairman, a post he held until his death from the flu epidemic in 1916. 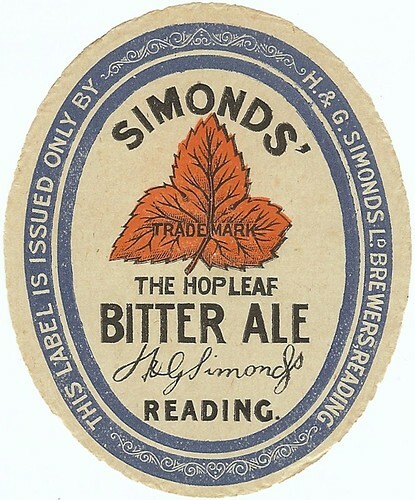 The Simonds family maintains a website chronicling their brewery and members of the family through history, which includes a biography of Louis de Luze Simonds. Today is Judy Ashworth’s birthday. 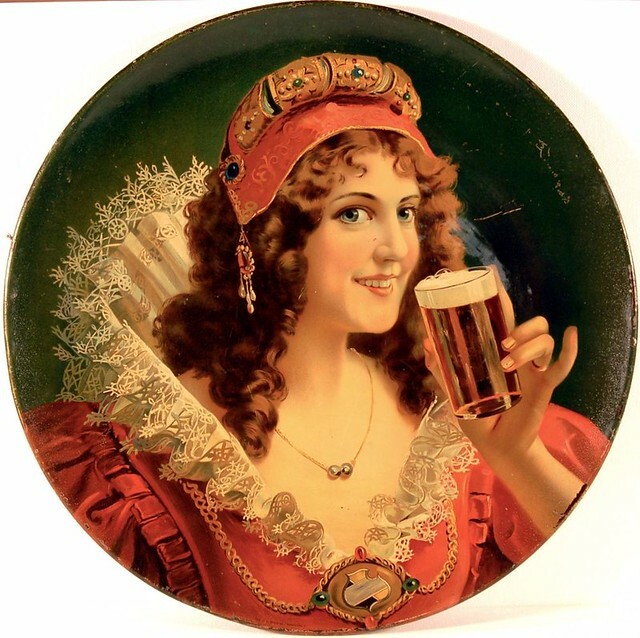 She’s the Grand Dame of Publicans, having once owned the Lyons Brewery Depot in the East Bay, one of the earliest bars to really embrace, support and promote craft beer. Judy sold the pub in 1998 after some health troubles sidelined her, but she’s still a fixture in the Bay Area beer scene. 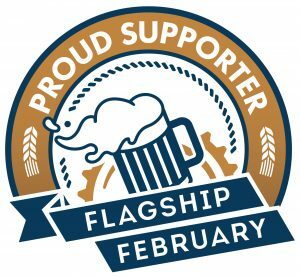 I’ve judged with her many times and these days she’s very supportive of the homebrewing movement and she can be seen at most of the major beer events throughout the year. 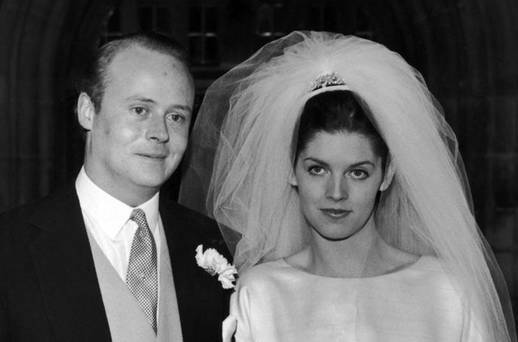 Join me in wishing Judy a very happy birthday. 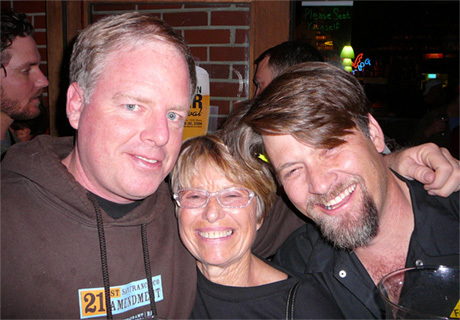 Judy with Shaun O’Sullivan (21st Amendment) and Chris Black at his Falling Rock Taphouse during GABF week in 2007. Out in front of The Bistro in Hayward at the Wood-Aged Beer Festival in August of 2008. 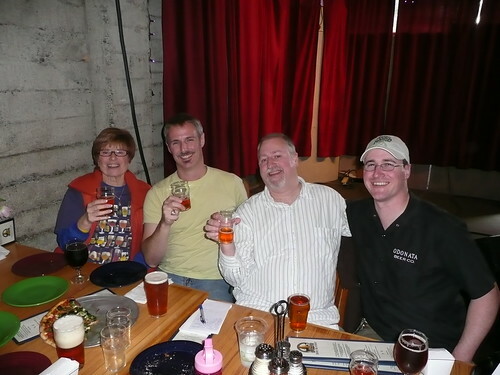 From left: Jeremy Cowan, owner of He’Brew, Judy, Dave Heist, and Zak, also from He’Brew. 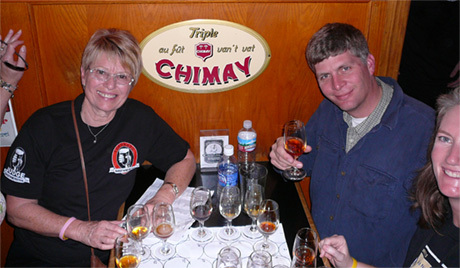 At the Toronado Barleywine Festival in 2008, Judy Ashworth, Matt Salie (with Big Sky Brewing) and Judy’s daughter Laurel. 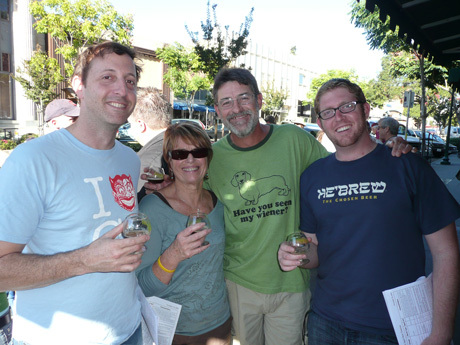 Judy with Stephen Beaumont, me and Peter Hoey at the 2010 Pliny the Younger release. 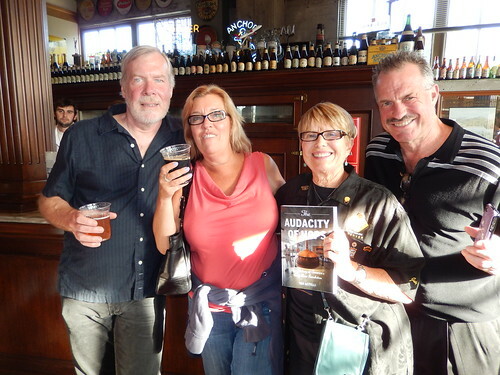 Dave Suurballe, Judy, Julie Nickels and Bruce Paton at Anchor Brewing for the book release party for Tom Acitelli’s “Audacity of Hops” a couple of years ago. Today is the birthday of Johann Adam Lemp (May 20, 1798-August 23, 1862). 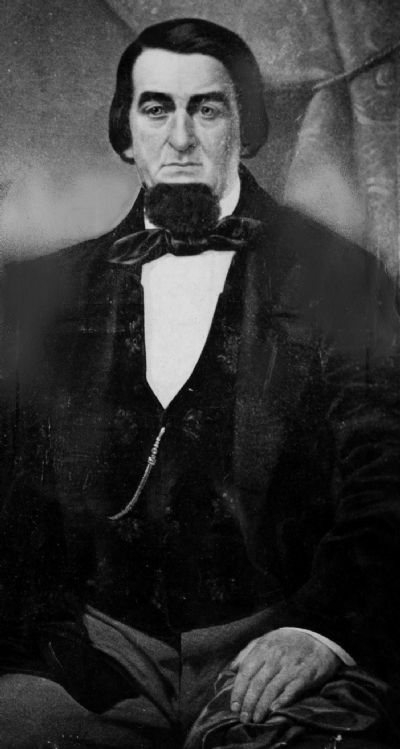 He was born in Germany, but came to the U.S., settling in St.Louis, Missouri, when he was forty, in 1838, and two years later founded what would become known as the Lemp Brewery. 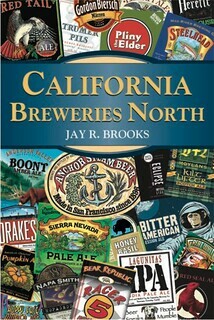 After his death, his sons took over management of the family brewery but it was closed by prohibition and never reopened. Born in Germany, Lemp settled in St. Louis in 1838. He established a small grocery business, but soon branched out into the manufacture and sale of vinegar and, using his skills, brewed beer as well. 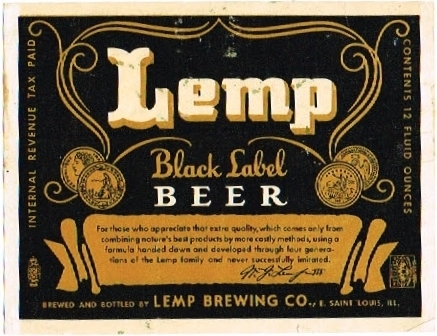 The popularity of his beer convinced Lemp to abandon the grocery business and devote his full energies to brewing. 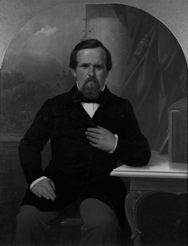 He established the Western Brewery in 1840 and by 1860 it was one of the dominant forces in the St. Louis brewing industry. 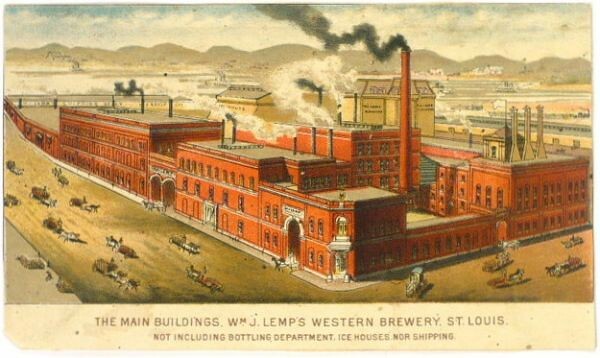 After Johann’s death, his son William assumed leadership of the brewery, which became known as the Lemp Brewery.